When you feel like you can’t get a handle on your lawn, it is natural to start shopping around for a lawn care company that can help. The problem is that, like many other home improvement type investments, it is hard to know which company in the Palm Harbor area to choose. How do you know you are making a wise decision? Assure Green is here to help make that decision easy for you. We have been helping our neighbors in Holiday, St. Pete, Tarpon Springs, Oldsmar, Clearwater, Largo, Safety Harbor, Palm Harbor, Trinity. Dunedin, Tampa for over 20 years. We realize it can be tricky to narrow down all the options, so here is a list of questions that we think you should ask a potential lawn care company to make the best possible decision. “What lawn care services do you offer?” – Obviously the most important question is whether or not the company you are considering offers the services you need. 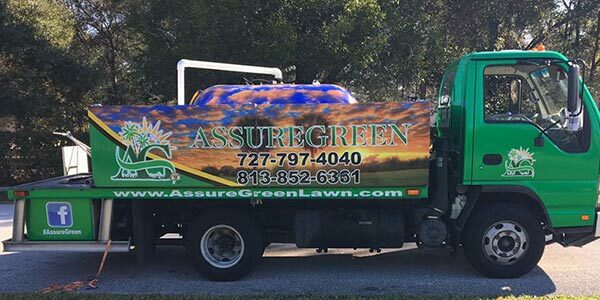 At Assure Green we offer many different services to benefit the appearance of your yard, such as Tree & Shrub Care, Grub Treatment,Fire Ant Control, Lime & Sulfur Treatment, Palm Tree Feeding, Post Emergent Weed Control, Roundup Application, Flea & Tick Control, and more. “What makes your company different?” – At AssureGreen Property Services, we can personalize a program tailored to you and your landscape needs. Our team of experts can help your lawn look great throughout the year! We are dedicated to each and every one of our customers. No more corporate lawn care companies to deal with. We offer a personal touch. To us you are not just a number. “Can you work around my busy schedule?” – We all know how busy life can get, and when you feel like your schedule is too full as it is it’s natural to worry that you won’t be able to find a lawn care company that can accommodate your schedule. 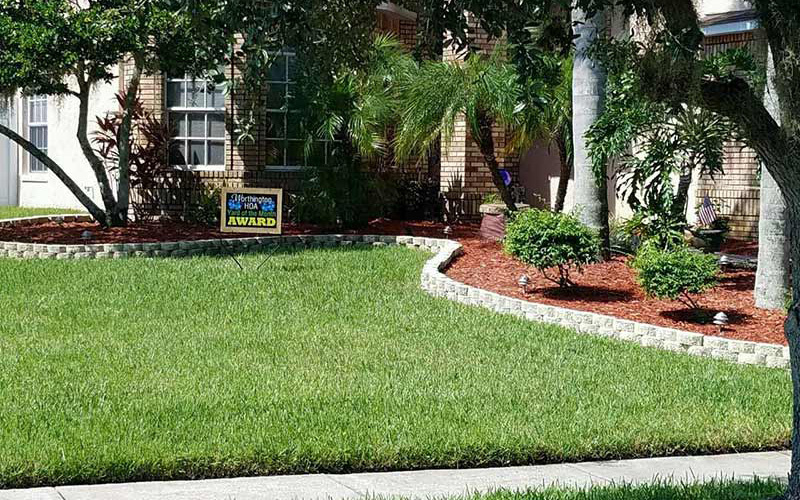 Rest assured that we can structure your treatment schedule around your schedule, and have your lawn looking great. “Do you have online reviews?” – Like all other businesses online these day, if you want to really know about the quality of a lawn care business they should be able to show you several positive reviews. Assure Green has been providing quality lawn care services for years, and you can find all of our reviews here.